The actual move didn’t take long but the timing turned out to be perfect. I was supposed to meet the regional director at 10:00 a.m. I soon found out she was not meeting me but having the new house manager handle the exit. (Wonderful New House Manager was moved to a different house and a new House Manager was hired – someone promoted from the floor staff and who is very caring of the clients so I wasn't too wary of the change). When I arrived, Robert’s things were being logged and packed because they didn’t know when Robert was moving out (the director hadn't told them and Robert had told them it was going to be that afternoon – he’s not very reliable for that sort of information). I know better than to expect fanfare and excitement with Robert. Partly because of the medications he takes and partly due to his brain surgeries, he doesn’t get overly excited about anything (unless he happens to tell a joke he thinks is particularly funny). The new House Manager did say he’d noticed a little more skip in Robert’s step. Ah, I had my suspicions Robert may be excited after all! Fortunately, Robert’s roommate was going home for the weekend and leaving at the time I arrived, so I was able to talk to his mom and give her my contact information so the guys can get together for lunch at some point. Robert will definitely miss his roommate and the feeling appears to be mutual so I’d like them to maintain that friendship. If I needed validation this was the right decision, I got it in spades. I shouldn’t have been surprised there were communication issues about the move out time. Not a huge deal but typical of my experience there the last two years. Robert’s roommate’s mom also told me a story about when she had moved her son in to New Home and how he had a broken foot for a week before it was noticed. For someone who is supposed to get daily shower assistance, it really makes me wonder how this could have happened. Granted, they’ve had numerous staffing changes since then but have yet to stabilize their staff. They might have wonderful people there now but they haven’t been doing the job for any length of time. I hope for the sake of the clients, the staffing will stay stable. What I felt most during the move was relief. It is such a relief not to have to worry about Robert getting good care and whether any changes in his health are noticed. I’ve cut out the middle man so it’s on me now. I’m fortunate Robert is high-functioning and fairly healthy and can do many things on his own (although at a very, very slow speed). I’m interested how the move to our house will affect his behavior and if he will become more independent or will stay about the same. Since Robert was the most high-functioning at New Home, I always wondered if he deteriorated a bit because of his environment. We’ll see and it is something I will keep in mind down the road if he ever needs placement again. My experience with New Home also gave me a clear idea of what I would like in a future placement, whenever that may be necessary. The medications were transferred seamlessly (although I did somehow end up with a couple of expired over-the-counter medications). The briefs and bed pads along with clothes and personal care items were loaded into our cars. Fortunately for me, Hubby knows how to pack a car to maximum capacity. I underestimated the number of boxes of briefs coming with us but Hubby made it work and we were able to move in just one trip. Robert said his goodbyes to everyone at New Home and shook hands with his roommate. He didn’t jump for joy when we walked out of New Home but kept to his weekend routine and asked if he could have a chocolate shake. (There’s a lot to be said about routine). Once we arrived home, Robert walked over to his place on the couch, took off his jacket and settled in to watch Jeopardy and do his Word Search. Chocolate shake by his side, Robert looked pretty content. The best validation of all . . . I know we’ll have our share of problems and frustrations as well as new worries. We might even get sick of each other. For now, I’ll take content. The consequences of screwing this up: severe (increased and/or prolonged seizures, physically hurt from increased falls, increased memory and balance problems). Worst case scenario: I don’t even want to think about it. My number one concern about Robert moving in is, by far, Robert’s medication. (Keeping the freezer stocked with Rocky Road ice cream is a close second). I, at least, won’t make arbitrary changes to his medication schedule so that it fits better with my schedule (a nurse at New Home actually did this when Robert first moved in there with awful consequences). Making sure I had Robert’s medications lined up properly and in time for move-in was one of the first items to tackle on my checklist. My hope was that we could use the same pharmacy as New Home so the transition would be seamless. I knew they delivered and thought that would be helpful. I called Robert’s current pharmacy only to learn they only work with care facilities. I asked for advice on how to transfer the prescriptions to a new pharmacy and was told to get new prescriptions written by the doctor and fill them at the new pharmacy. I had already previously filled prescriptions for Robert at a pharmacy near our house which is a familiar pharmacy since my husband uses it. This was very helpful as they already had Robert in their system with all of his insurance information. While simultaneously plowing through the other items on the move-in checklist, I called his doctors, New Home and our new pharmacy and asked for information on how to seamlessly transfer his medications. With each call, I got a new piece of information. Have his GP write brand new prescription orders. Have his GP and neurologist write new prescription orders. The doctors can call the pharmacy with the orders and cut out the “paper” step. Medications were confirmed with each doctor. After a few days, there was a follow up call from neurology about the brand name prescriptions Robert is supposed to have. In the meantime, I called New Home to ask what medications they would still have and how much would be sent with Robert when he moved out. I wanted to be sure I had a couple of weeks of medication in case the pharmacy couldn’t fill the order immediately. They assured me I would have at least two weeks of some medications and one month supply of some others. They sent me a detailed list of what medications and how many I would have for Robert. Call me crazy, but I was doubtful. The pharmacy called last week. Medications were ready for pick up! I was excited but this didn’t sound right. It is 10 days before Robert moves in and they already have prescriptions ready? I went to the pharmacy and, sure enough, three of his medications were ready. One was eye drops which, of course, doesn’t cause me any concern whether I have those or not but the other two were seizure medications. One of the medications they had filled was the generic version and, after being questioned about why I “preferred” non-generic, I explained it was not a preference at all. Robert’s neurologist deemed it medically necessary for him to have the brand name only. The clerk was extremely curious about Robert’s seizures and epilepsy so I took the opportunity to educate him about it and could tell the crowd of people behind me were listening and learning too. Either that or they were wishing I’d stop being picky about the medications and holding up the line. I left the generic medication at the pharmacy for the pharmacist to get clarification from the neurologist. I only had the Depakote and eye drops but it felt wonderful to bring home the medications! Before putting them in the cupboard my husband had cleared out for just this purpose, I checked the Depakote bottle and peeked inside. Uh oh. These pills are grey, not pink. I looked at the label expecting it to say “Depakote” but it had an “ER” added to it. I did a quick search on Google and found that ER is sometimes mistaken for DR but these are not interchangeable. After calling New Home to verify Robert gets the “DR” version and not the “ER” version, I called the pharmacy back. The clerk who answered the phone told me there wasn’t a difference. I politely but firmly told her there was. She put me on hold. She quickly came back on the phone and told me they would have the correct prescription ready in twenty minutes and asked if any had been taken yet. Nope, that’s why I’m doing this early. Working out the bugs without the nasty consequences. The Depakote was figured out and the next day, other medication was filled with the brand name (Klonopin). I talked to the pharmacy about when the others would be ready. I jotted down the refill dates on my nifty spreadsheet that I created for the medications (yes, I said “nifty”). A friend sent me the spreadsheet she uses for her husband’s medications and I added a few columns to mine. Next up: figuring out how to give Day Program the medications they give Robert through the week. I assumed they didn’t want his pills in a baggie. The pharmacy told me they would be able to give me a bottle with a medication label and I can fill it with the amount of meds Day Program needs from the monthly supply I get from the pharmacy. Works for me. For the house, my plan is to put one week of Robert’s medications into a multi-day pill container. He takes so many, it’s actually going to take two large containers to fit them all. Hubby gave me an idea of how to organize them which works perfectly (the row of 7 days will equal the 7 medication times per day). Each row will be for one full day. I labeled them with the medication times so no matter who is giving Robert his meds, the days and times are clearly labeled. (Clearly may be overstating it since my handwriting is awful). I am feeling much more in control of the medications and have much less worry about it. My checklists have checklists (and that’s on a normal day). Preparing for Robert moving in? Let’s just say my checklists are having a tough time keeping up. Preparations are well under way and tasks are being crossed off the list at pretty good clip! 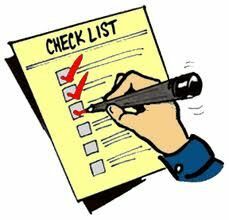 I started the move prep by creating a checklist (shocker). I quickly found that a move date of “sometime in April” was not going to work with transferring prescriptions, supplies, benefits and transportation to Day Program. After confirming that Robert would have a supply of all medications for at least two weeks into April, I chose April 1 as the official move-in date. We’re actually moving him in Saturday, March 30 but it was simpler to choose the first of the month as the “official” date. Of course, before these notifications, I talked to Other Brother about Robert moving in. I explained my rationale for moving him in here (let’s be real: we have to cut out the middle man, aka, New Home). I explained the extra assistance we will get (Robert would qualify for In-Home Support Services as well as respite care through the Regional Center). Other Brother said it sounded like we had it all planned out. His only bit of advice: Keep the puppy away from Robert’s turkey sandwiches! (Good thinking!). After the notifications, I worked at transferring medical supplies and prescriptions and setting up transportation to and from Day Program. Fortunately, we will be able to keep Robert at his Day Program which he loves. I wasn’t able to get very far when talking directly to the transport company because Regional Center hadn't yet notified them of the change. I went back to Regional Center (thank goodness for email) and made a second request to get that transferred. I want to be prepared for when the transport will arrive so Robert can be ready! The Regional Center advised me to contact In-Home Supportive Services immediately so we could get those services started as soon as possible. I called and was able to get the application started over the phone. There will be a form for the doctor to complete as well as an in-home interview but once those are done, we should be able to get a little extra help. I realized during this move process how grateful I am for being a control freak (I keep telling my husband that’s a positive characteristic!). Maintaining control over a few items when Robert moved into New Home has now saved me an enormous amount of time. I realized how much easier the move to our house is because I have Durable Power of Attorney and maintained that instead of transferring that over to New Home (yikes, can you imagine?). My favorite time-saver has been becoming Robert’s Representative Payee at Social Security (and not transferring it to New Home). Since Social Security doesn’t recognize DPOA, I cannot recommend this enough. It allows me to talk to a Social Security representative and make address changes on Robert’s behalf – over the phone! I am sure it would have been a nightmare trying to transfer it back to me if I had given New Home this authority. Unfortunately, you have to go to a Social Security office to first sign up to become a Representative Payee (make an appointment if possible to reduce the wait). Once you have done that and are approved, it will be rare you will have to return to an office! For more information on the program, visit here. I am also grateful for changing Robert’s GP last summer from the one provided through New Home. Aside from being extremely unhappy with the New Home doctor (oh yeah, he was incompetent! ), this has proved beneficial in more ways than I could have imagined at the time. I am grateful I don’t have to spend the time finding a new doctor while doing all the other move preparation. For now, I have a few things to cross off my checklist - plus, I need to get busy training the puppy to keep his paws off Robert’s food! Universe, Are You Testing Me? On Tuesday, I announce that Robert is going to live with us starting in April. Robert is on the mend! On Wednesday, the Wonderful New Home House Manager calls to tell me Robert is not feeling well and wanted to stay at New Home instead of going to Day Program. Robert has had a cold/flu all winter and has periodically missed his Day Program to stay home and rest. Between living in a home with six guys and going to a Day Program with 50 + adults (all of whom need assistance in some way or another), Robert pretty much lives in a germ factory. By Wednesday evening, Robert’s cold had gotten worse so I decided to pick him up from New Home and keep an eye on him at our house. Robert tends to go downhill pretty quickly and because New Home is located pretty far away, if an ambulance is needed they won’t take him to the hospital associated with his doctors. This means I have to update new doctors on his epilepsy, medications, medical history, etc. while trying to get him treated for whatever ails him. If he’s at my house and we have to call an ambulance, they’ll take him to the hospital where both his GP and his neurologist are affiliated. Emergency Rooms are hectic enough without having to start from scratch. Driving the hour and a half round trip to get him up was definitely going to make things a lot easier if Robert suddenly took a turn for the worse. Once Thursday morning arrived, I was grateful for the decision to bring him to our house. Robert woke up with a fever, was extremely lethargic and his cough sounded awful. I was worried about pneumonia again so made Robert a doctor’s appointment which, unfortunately, couldn't happen until late in the day. I started to suspect The Universe was testing me. Robert was sick, I had a work event mid-day, Hubby was taking his mom to a doctor’s appointment out of town so couldn’t stay home with Robert and Robert had a doctor’s appointment late afternoon. Oh, yeah, and one of our bathroom pipes sprung a leak. Yep, The Universe was really enjoying this. I thought I might be able to take Robert back to New Home for a few hours so I could take care of the work thing (he technically still lives there, after all, so I may as well take advantage of them). If so, I could pick him up once I was done at work and take him to his doctor appointment. It would be tight but doable. Except Robert could barely keep his eyes open much less get up and walk out to the car. I realized I wasn’t going to make the work event (much less get any work done). Robert slept until it was time to get ready for the doctor. Once there, I was grateful for the wheelchairs they have available if needed. I wheeled Robert into the appointment and talked to the doctor about how sick he was (while Robert was groggily telling her he felt excellent). She prescribed antibiotics to fight off suspected pneumonia and a chest x-ray to confirm her suspicions. I took the opportunity to talk to the doctor and her nurse about the plan to move Robert into our house and ask for their advice on how to manage the medications. I felt much better about the process after talking to them. Robert stayed with us for another night and while Hubby supervised his dinner, I ran back to New Home to get more of his anti-seizure medications as well as the antibiotics. I’m exhausted before Robert has even moved in but think I did okay on The Test. I didn’t eat as well as I should have and I let myself get stressed out for a minute about not doing all I had planned but I was able to adapt and adjust Plan A and go to Plan B.
I also realized I don’t need to get an A+ or do 100% of what I had hoped to have a successful caregiving day and (bonus!) was able to get information on how to get Robert’s prescriptions transferred. Robert has lived in New Home for two years. Before that, beginning in 2009, he lived in an assisted living facility for older adults (he had an exemption since he was under 50 years old) for two years. In the last part of 2008 and early part of 2009, Robert had a long-term stay in a hospital due to a life-threatening infection which was perilously close to invading his brain. Robert had been in a study at UC San Francisco for the Deep Brain Stimulator and the piece in his chest had become infected. That piece of the device was removed but the leads going deep into the brain remained, in the hopes he could continue in the study. (We later learned Robert was in the “active” group and the DBS was actually helping to control his seizures). The infection returned with a vengeance and since these leads were a pipeline directly into the brain for this infection, Robert underwent emergency surgery to remove them. Before these events and recurring infections, Robert had lived independently (with some family oversight and a live-in companion) for many years. Once he recovered from the infection (which took a couple of months of intravenous antibiotics and a stay at a Skilled Nursing Facility), a decision needed to be made about his living situation. It was a difficult decision but one which had to be made. Caregiving is a series of decisions. How serious is the infection? Does he need to go to the ER? Where should Robert stay while he is on the intravenous antibiotics? Will it be safe for him to live independently again? What Skilled Nursing Facility is the best fit for him? Should he be moved from his home an hour and a half away to a facility closer to me and my family? And that was in the first few months of caring for Robert. Deep end of the pool – meet Robert’s Sister. Sink or swim – go! The decisions have not stopped since then but I’ve become more accustomed to fielding them. The placement decision is one I haven’t ever been completely happy with. I did all the right things when searching for facilities for him: created checklists, conducted interviews, had Robert visit the facilities, but there were always one or two (or several) issues that I had to deal with during his stays at the facilities. I never found him the perfect home. My husband and I thought a solution would be to turn our garage into a bedroom for Robert. That wasn’t as easy as it seemed (although my city is now aware they have a “Reasonable Accommodation” code which, by law, they have to follow). Reluctantly, due to construction issues and costs, we gave up on that idea and I resigned myself to Robert living at a facility 40 minutes from my house with a few people on staff I had issues with. (I’m not normally a difficult person but when the nurse tries to change Robert’s medication schedule because it will be easier for her, then I become quite difficult). I decided Robert would live with us on the weekends. We didn’t have a room but we have a sofa sleeper and a freezer full of Rocky Road ice cream. Robert enjoyed his visits (and ice cream) from Saturday morning through Monday morning (and all holidays) and we enjoyed his company. Until I was informed we were allowed to have only 73 overnight visits a year (unless we paid a ridiculous amount of money to have him stay with us). I had about 20 days left in the year when told this in the middle of summer – and we hadn’t hit any of the major holidays! During this time, the issues at New Home were really piling up. I had to find a doctor for Robert not affiliated with New Home because their doctor was incompetent (and I do not say that arbitrarily). The previous House Manager didn’t order briefs timely so Robert ran out (and she called me for assistance). Seizure logs were not accurately kept and, worse, suspiciously looked made up when I did get them. Nurse Ratchet (who was amazingly still employed by New Home) was not doing her job and neglected to prepare the proper paperwork for Robert’s new doctor in order for him to get his medication. (She was eventually let go after three of these incidents). Fortunately, the floor staff were all wonderful and I could count on them to keep me apprised of anything going on with Robert. Management changes were made (thank you!) but I still was not completely satisfied with Robert’s care. For months, my husband and I discussed Robert living with us. We reviewed the pros/cons list over and over. We discussed the idea some more. Then I picked Robert up at New Home and, as we walked out the door, I noticed a used brief stuck halfway inside his jeans and the other half sticking out over the top of his waist band. I changed his pants (he was wearing his own brief so I have no idea where the other brief came from unless it was his nighttime brief) but he had a terrible rash from where it had been against his skin. A limit of 73 Days. Incompetent doctor. Self-centered nurse. Running out of supplies. It was too much. This seriously put me over the edge. My husband and I asked Robert if he would like to live with us and he said yes. He hesitated when I asked him if he would miss his roommate so that means, “yes” but I’ve already asked New Home if I can contact his roommate’s mom so they can visit each other. The Wonderful New House Manager has offered to help care for Robert if we need her and she said we could bring Robert to visit his old roommate. We don’t have a definite move-in date yet but it will be sometime in April. (I just have to make sure his medication is transferred seamlessly). I suggest you buy stock in whoever makes Rocky Road ice cream! (Now that’s how you bury a lead). I first met Gina Restivo during the Robert’s Sister Epilepsy Interview series in November. Gina is a children’s book author, terrific mom and fellow avid coffee drinker who continues to amaze me. She first wrote the children’s book, Fly Danny, Fly and included a dedication page in that book to the Danny Did Foundation which was created after 4-year-old Danny died of SUDEP. (If you’re a regular reader of this space you know 50,000 people a year die as a result of epilepsy related causes). I was excited to learn Gina had a new book, Speedy Shines, coming out and anxiously awaited the opportunity to purchase it. Sure, it’s a children’s book but it was about a turtle! (We have a turtle so I’m partial to turtles). Once our copy arrived, I showed it to Robert and told him people who buy the book help two groups who help people with epilepsy. Robert liked that. (The Chelsea Hutchison Foundation and the Danny Did Foundation are two foundations who were created after the founders’ families both lost a child to epilepsy). Robert wanted to read the book. Robert is able to read but it is slooow going. Reading about a turtle seemed appropriate. I let him get back to reading. It was my turn to read it. The illustrations by Martin Heraty were colorful and whimsical with delightful details (on one page, Speedy is reading a stack of books, one of which is named “Finding Your Inner Shell”). Cute! The story was sweet and heartwarming. Even though he was surrounded by friends and was making the most of his original home, Speedy felt a tug at his heart and realized he had to muster the courage to find what he was missing. Speedy was searching for where he truly belonged and had to decide if he should follow his heart to find it. I’m not a professional reviewer but I know enough not to give away the ending so you’ll have to read for yourself whether or not Speedy finds what he was looking for! Gina shines in her work to bring about broader awareness of epilepsy and is due many thanks for her work! Once you read the book, let me know in the comment section how much you enjoyed it. You Know It's a Bad Day When . . .
. . . your Girl Scout cookies are conspiring against you. My day was in a slump anyway due to a bad morning at work. We all have them and it seems as if things pile on from there. It actually started before I even got to work this morning. The puppy decided he had to go to the bathroom at 1:30 in the morning. Then saw it was raining and said, "oops, nevermind. Let's go back in." Oh no you don't, little one. Walking outside barefoot (I couldn't find my slippers, socks or shoes - hey, it's the middle of the night), I picked him up and set him on the grass. He finally realized I wasn't going to let him in the house until he did his business so he did and we went inside and dried us both off (I forgot to grab my coat on the way out, too). Snuggled back in bed (me, the puppy, Hubby and our adult Lab - we need a bigger bed! ), I awoke at 4:00 a.m. to Hubby getting up to stretch his back. Puppy jumped up to see what exciting thing Hubby was doing and scrambled off the bed, using my face as leverage to push off. Adult lab decided he could stretch out in the now open space, disregarding my need for any leg room. Finally, I just got out of bed at 5:30. I got to work early and caught up on a few projects but had some issues with one ongoing, increasingly frustrating project which I couldn't shake the rest of the day. Ugh! I tried to tell myself it was a bad morning, not a bad day. Maybe it was a bad moment, even! I compromised on many bad moments in the morning. Which, of course, I had to relive all day. (Bad plan, in case you're wondering). I decided to hit up my stash of Girl Scout cookies for a boost. I have a box of Samoas (or whatever they're called now) and a box of "Thank You" cookies - shortbread with chocolate on one side and a big "Thank You" inscribed on the other. Yes, that's what I need! A Thank You cookie! Thank You to me! Somehow I must have let that bad energy from my bad moments creep back in and the next thing I know, the Thank You cookies are sprawled out on the floor -- on the nasty, walked on, probably never wiped down, carpet protector floor mat under my desk chair. Even I wouldn't apply the 10 second rule in this case. My Thank You cookies were toast. Should I take this as a sign to save myself the calories? I opened up the brand new box of Samoas/whatever-they're-now-called cookies. It's bad enough they changed the name of my favorite cookie (okay, it's a close tie with the Thin Mints) but the boxes seem to get smaller every year and the prices seem to go up too. My negativity today knows no bounds. This time, I opened the new box to discover one cookie missing! What? I didn't believe this was even possible and started to imagine a scenario of some poor Girl Scout Cookie Factory worker who missed her break and was hungry and had to eat something before she fainted. (Where is the Giant Girl Scout Cookie Factory anyway?) I double checked the box to see if this missing cookie had just fallen out of its slot but it was truly missing. Someone at the factory ate my cookie because she was going to faint. Or because they are so delicious - it has to be one of the two! This sure seems to be a sign that I need to save myself the calories and maybe even call it a day. I decided I needed to eat a few of the Samoas/Whatever-they're-called before they end up on the floor. Hmm, they are as delicious as I remember when they were just Samoas! Now I can see a little clearer and think of the positives of the day instead of focusing on a few bad moments. I may not have gotten enough sleep or had the best day at work or even had the best luck with my Girl Scout cookies but I did have puppy time, a sweet gesture from my Hubby, a delightful lunch with my daughter and can look forward to more time at home with the animals (and Hubby). It's really just all about the moments. But the cookies don't hurt, either.